Featuring a few remarkable bottles recently tried over two amazing New Year celebration sessions at Sase. 2-starred at the recent Pen magazine selection and a personal pick of the Palace Hotel Hasegawa shop manager. Rich and robust in YK taste, pick of the second night by all. apparently one of those ‘hidden’ sakes that were not publicised. Brought the already quality Zaku to the next level. #3 ranked in the Kokuryu stable but always one of the top picks for those that enjoys the signature robust rice taste of the brand. The ‘hanatare’ basically means the first drops when one is producing shochu. Always brings the night to a nice finish as in single malt whiskies for a western meal. 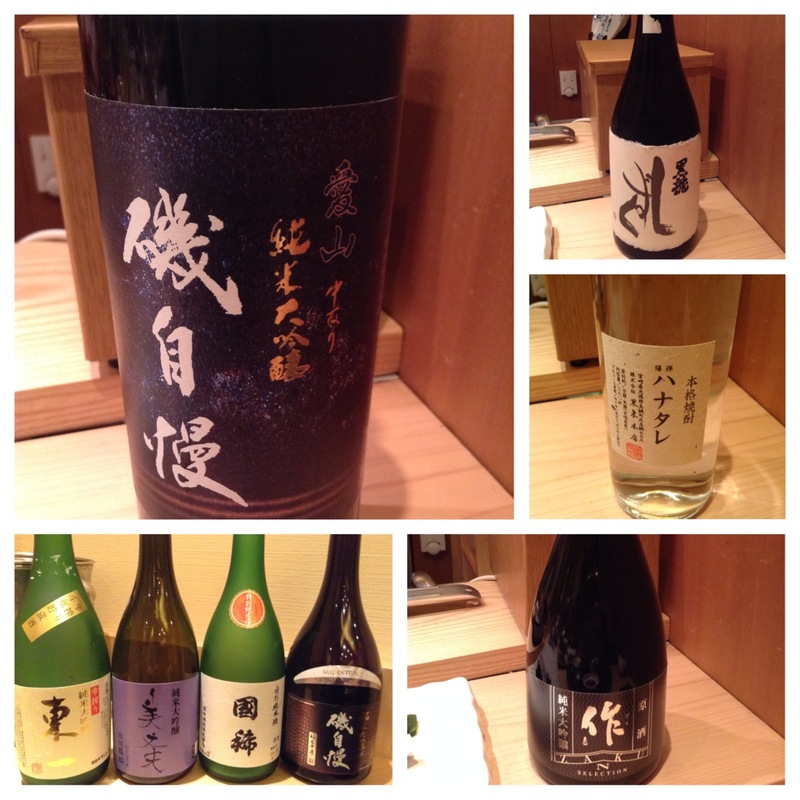 This entry was posted in Sake | 日本酒 and tagged Sake | 日本酒, Shochu | 焼酎. Bookmark the permalink.